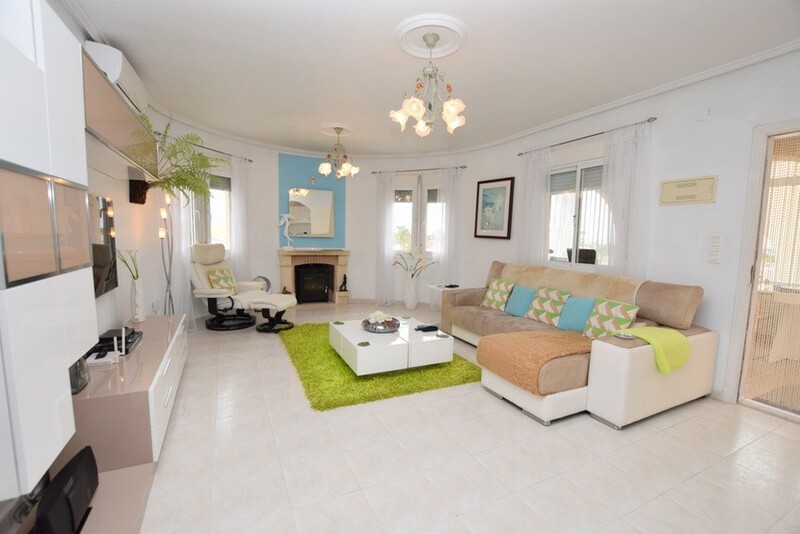 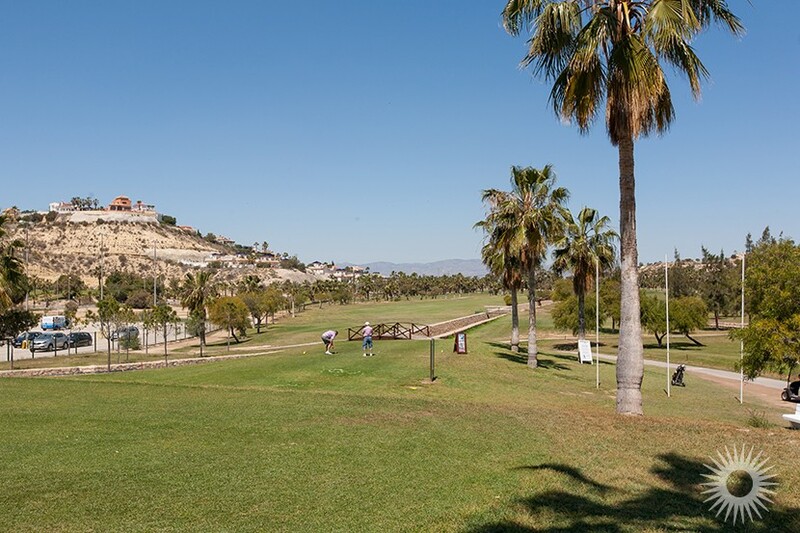 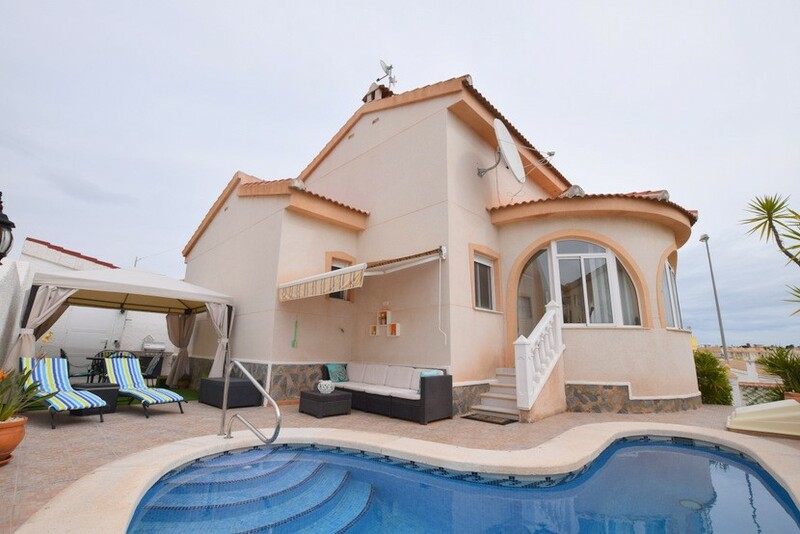 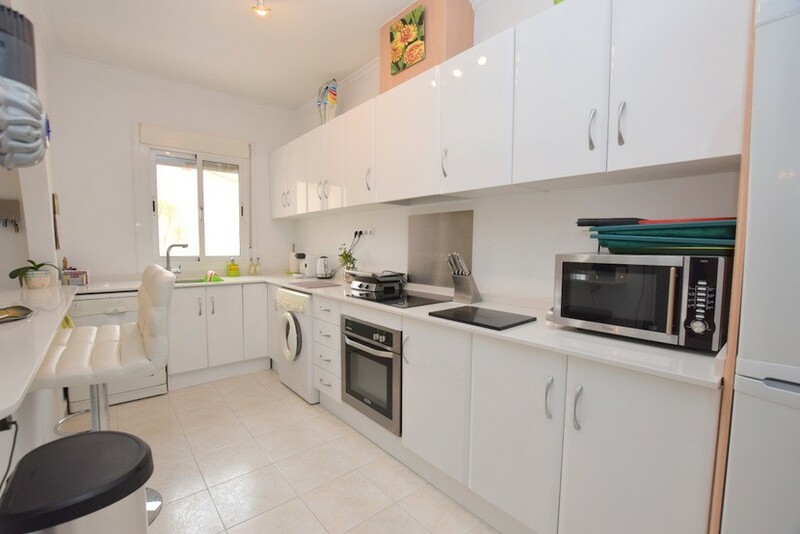 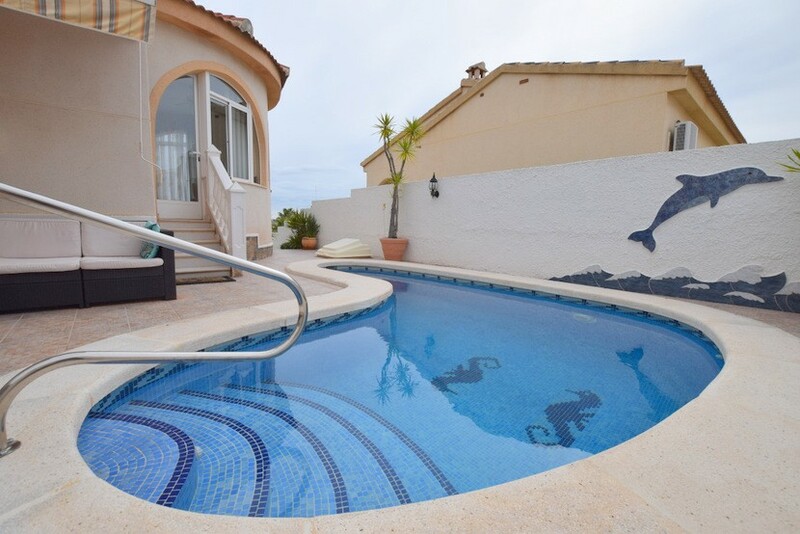 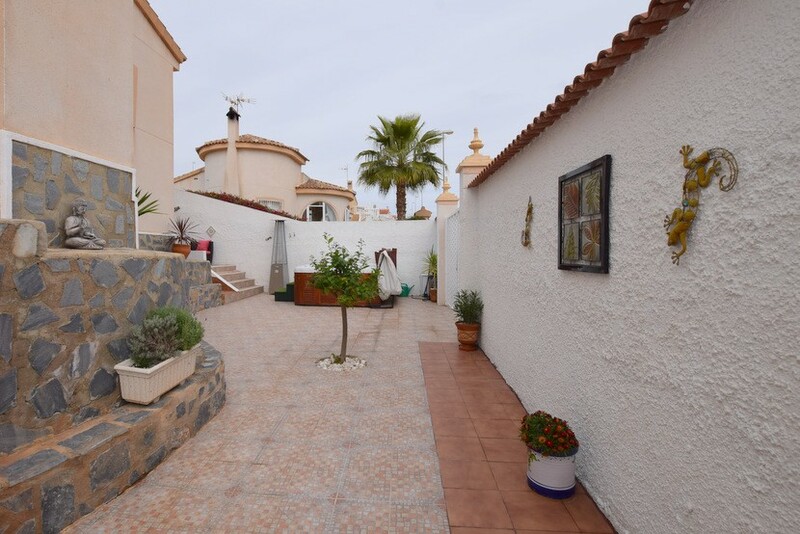 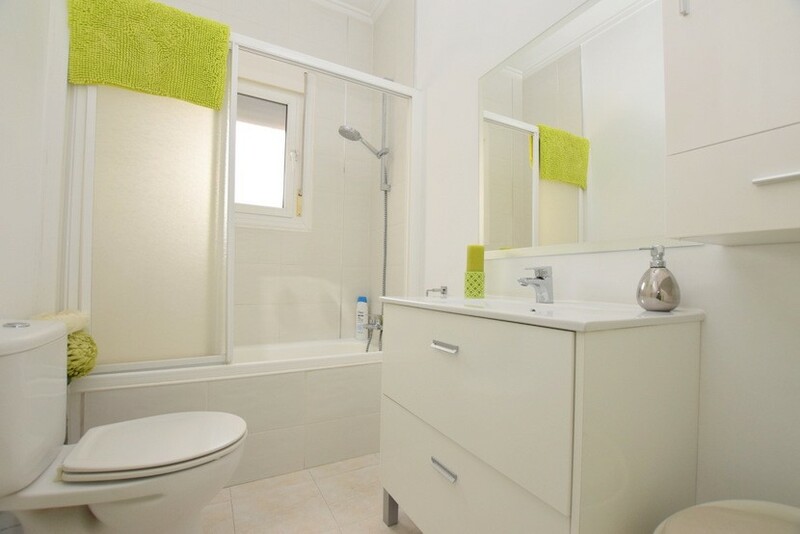 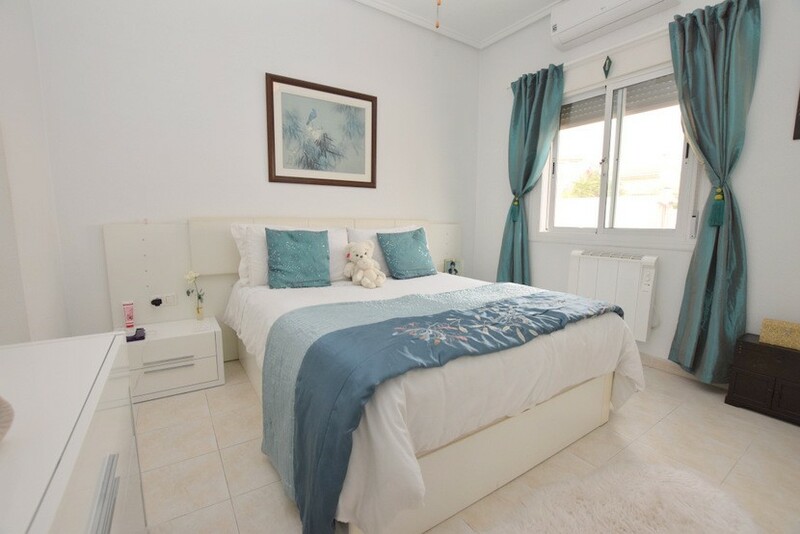 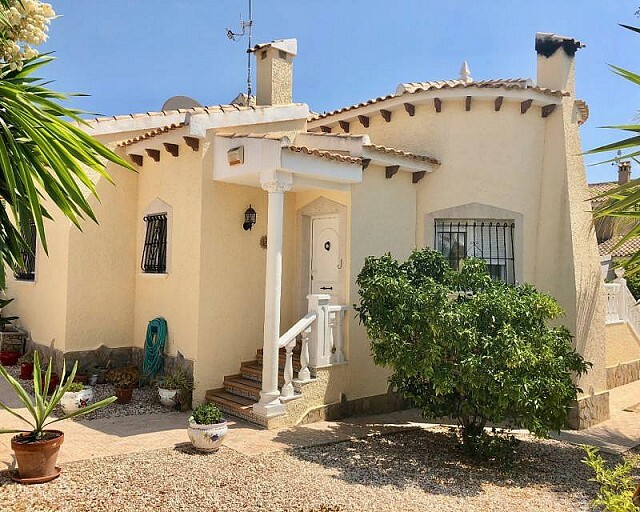 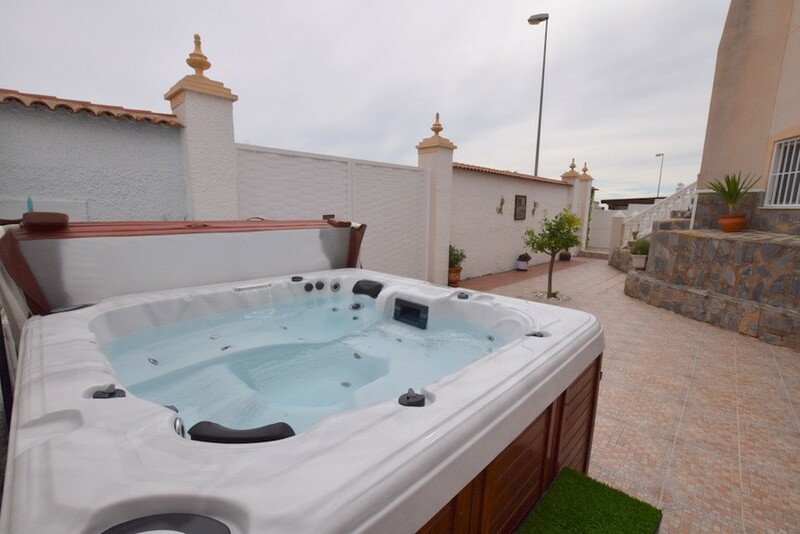 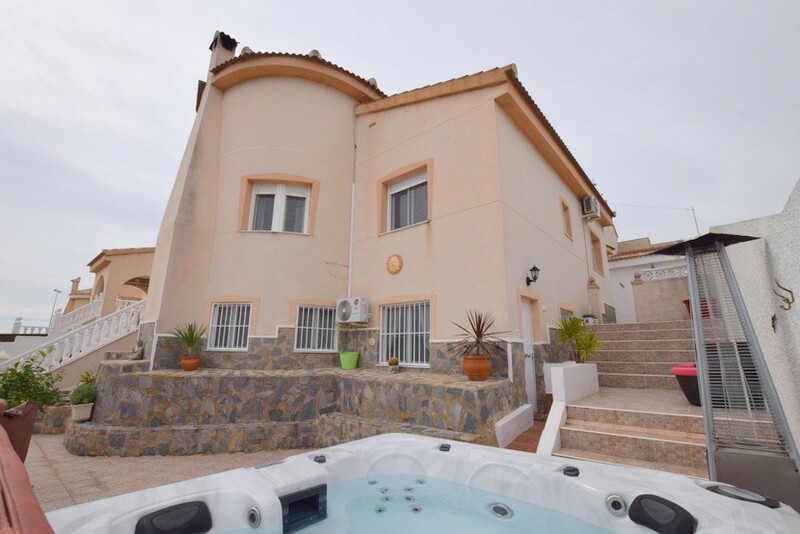 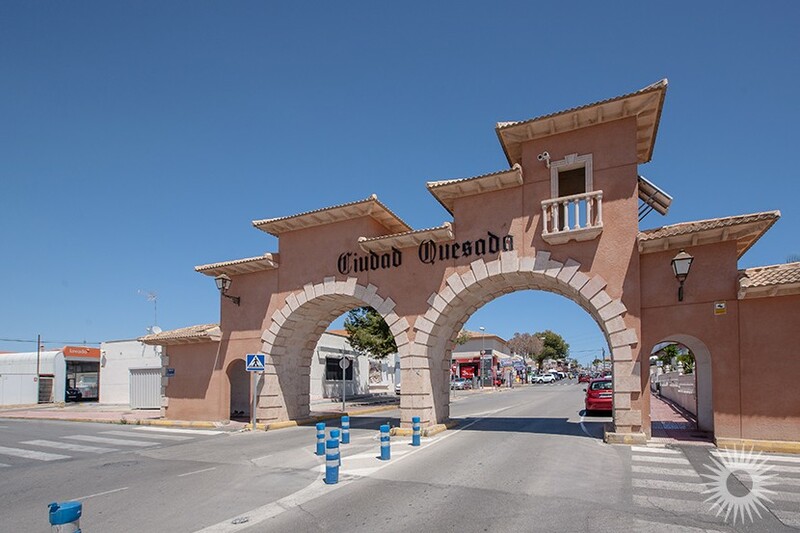 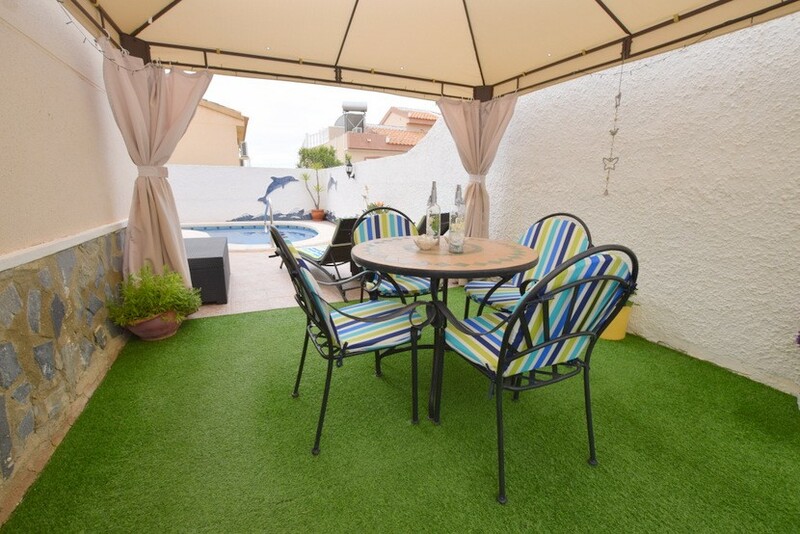 This immaculate 2 bedroom, 2 bathroom detached villa with converted under-build is situated in the popular area of Quesada, within walking distance to a good selection of amenities and a short drive to the stunning beaches and golf courses. 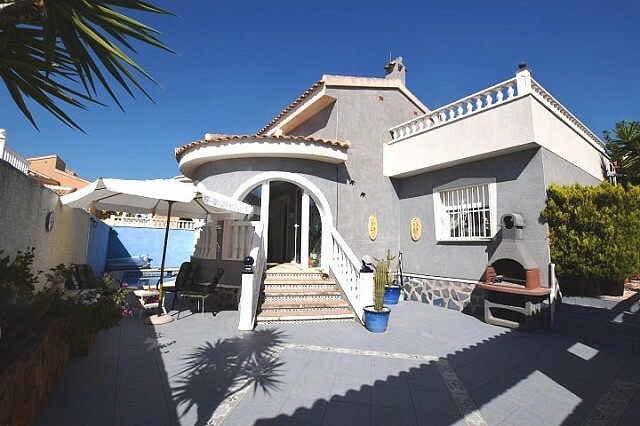 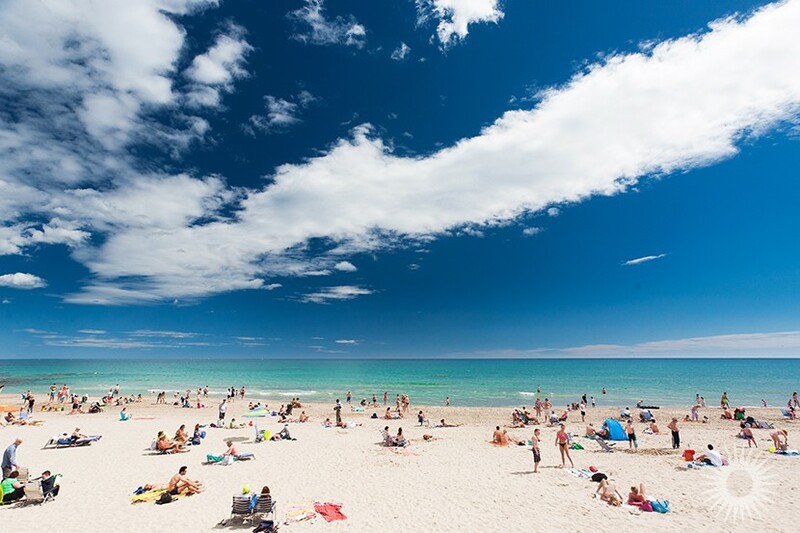 The property offers distant views of the impressive salt lakes and sea. 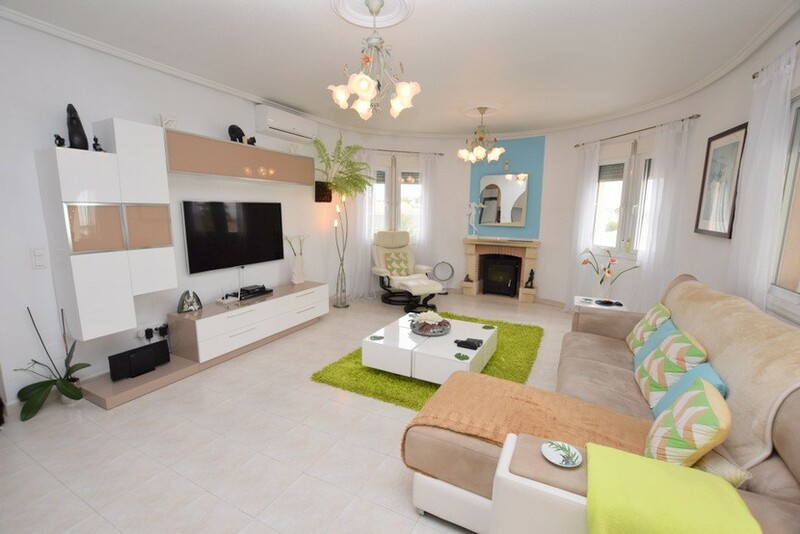 A small flight of stairs lead up the glazed conservatory, spacious lounge/diner with open plan fitted kitchen, modern bathroom, double bedroom and master bedroom with en suite bathroom. 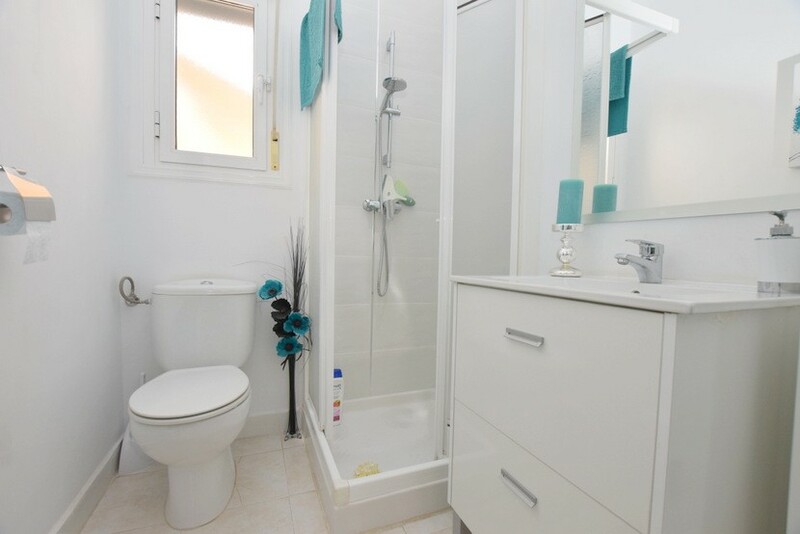 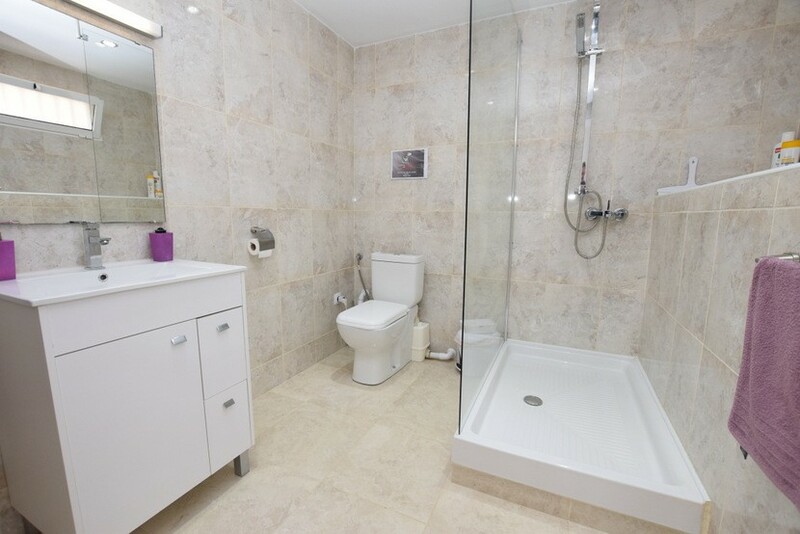 A separate entrance on the ground level leads into the converted under-build which features a large modern bathroom and living room/third bedroom. 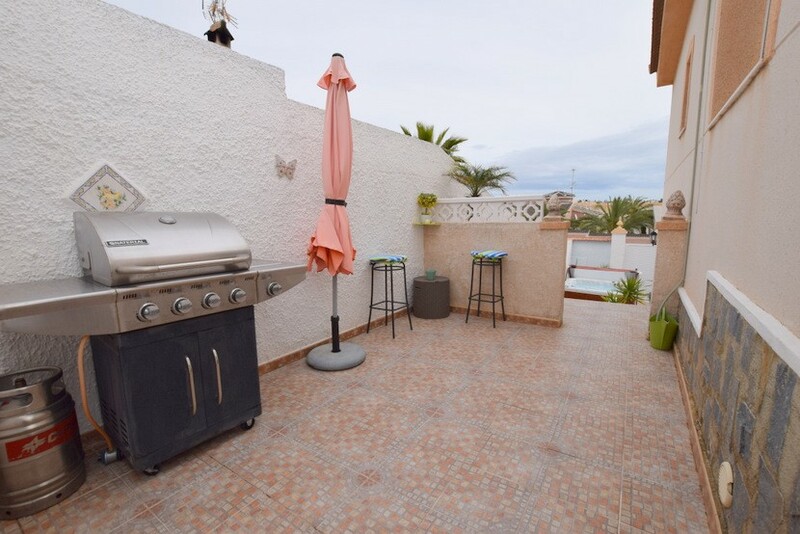 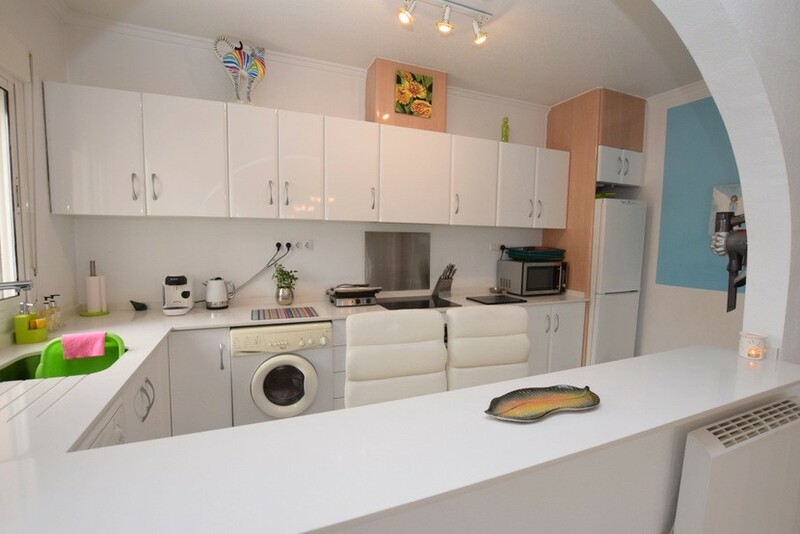 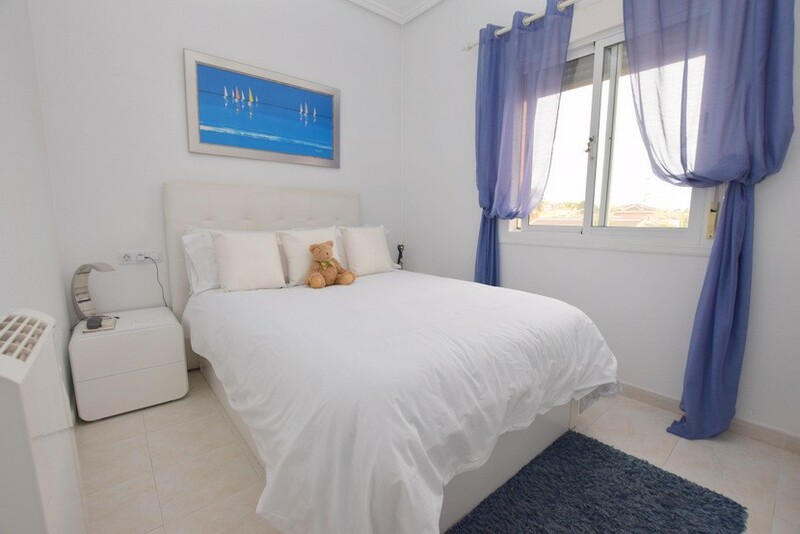 The attractive and well-maintained garden features the inviting private pool, lovely Jacuzzi, two terraces with BBQ area, large storage room and off road parking. 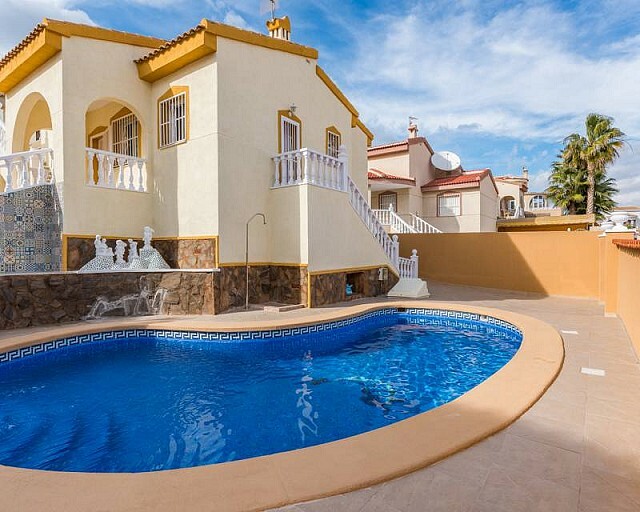 This lovely villa has many added benefits including hot and cold air conditioning, log burner, mosquito blinds, drinking water filter, outdoor heater, pool cover and gazebo.